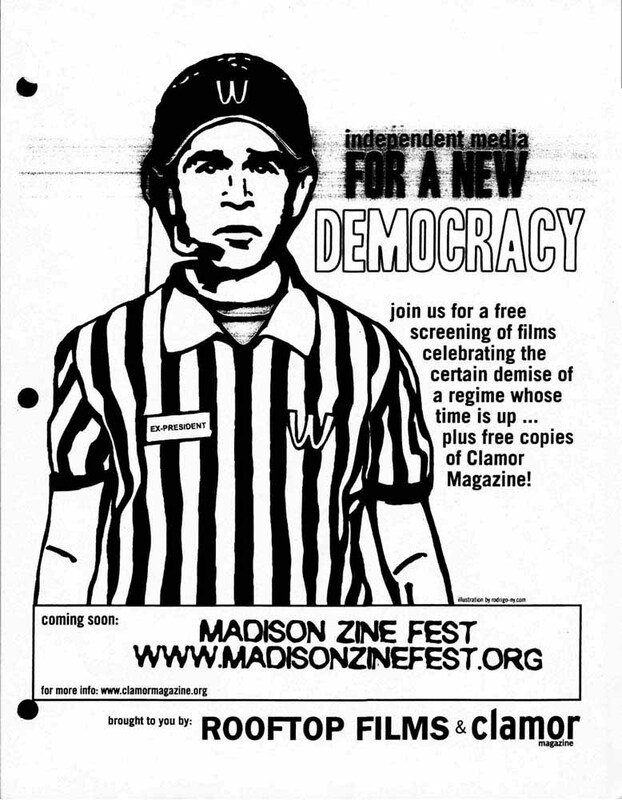 This digital library uses open source resources to tell the story of the Madison InfoShop by highlighting the Disorientation Manuals, published yearly by the Madison InfoShop, and political ephemera from their archives. The free platform Omeka contains Disorientation Manuals from 1992-2011 and a few years of highlighted political ephemera, this site has the most digitized items and we will continue to add to it as we create Dis-O manuals. We have also used the Library of Congress’ program ViewShare, to compare the two programs use of displaying ephemeral materials and their strengths for organizations such as the InfoShop. We have collections of ephemera and zines similar to the Omeka library. The Radical Oral History Project is a partnership between librarians, the InfoShop and Rainbow Books. You can hear/view a sampling of what’s to come below. If you are interested in being involved with this project, we could always use volunteers! Email meesaj at gmail dot com. “…InfoShop’s are just one manifestation of a much bigger social change movement” John P. is a longtime Madison activist, community organizer and volunteer at the InfoShop. He has seen the evolution of the InfoShop since 1992, when it first opened. “There was really a big campus and Madison community building period there where there was getting to be a lot of radicalization and a lot of mobilization on both local and global issues that just crashed after September 11” Interview with Kurt by SLIS student Sara C.
“We lost our funding from the university in a rather controversial slue of defundings...” Interview with Jonathan. From the anti-apartheid movement to the Madison occupation: Representing dissent in the digital world.